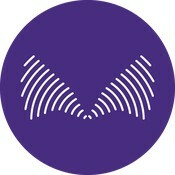 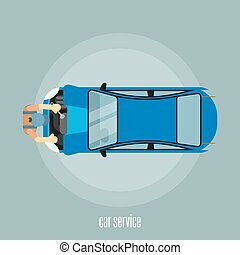 Car service illustration. 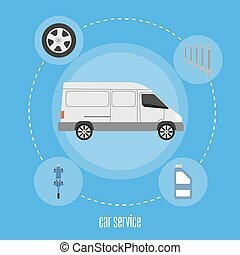 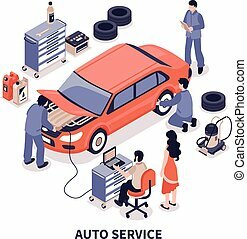 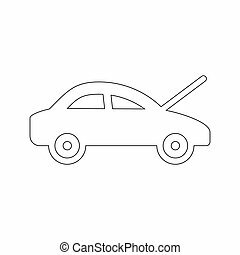 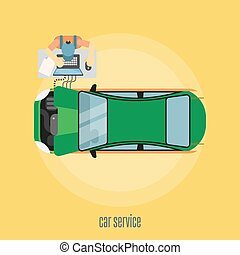 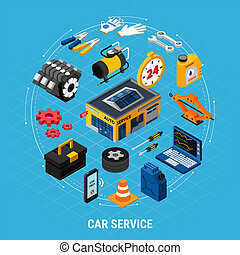 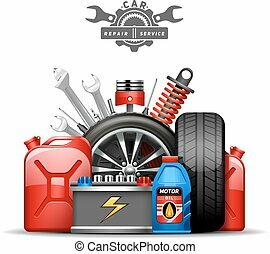 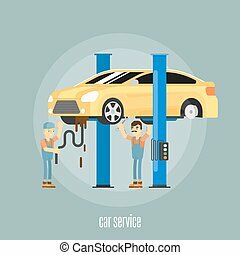 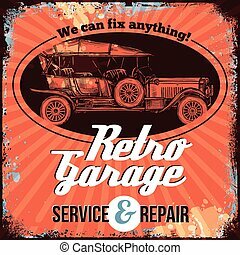 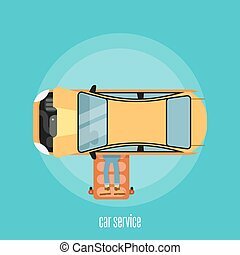 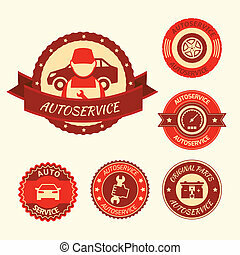 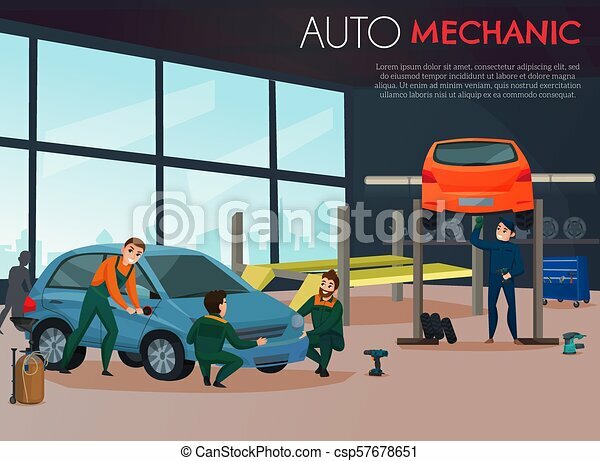 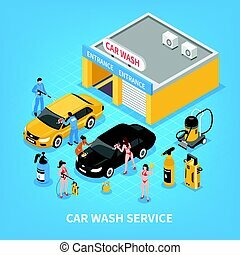 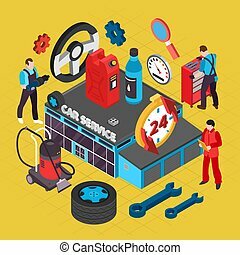 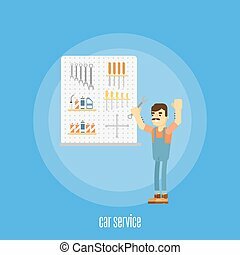 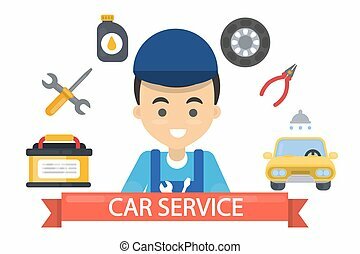 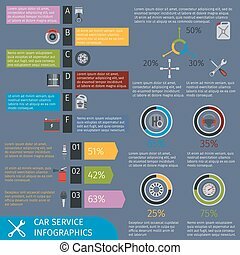 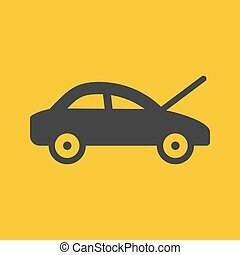 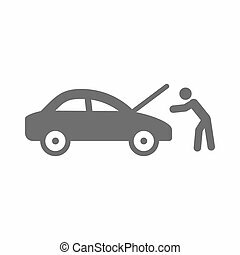 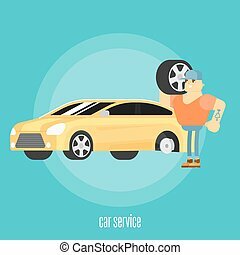 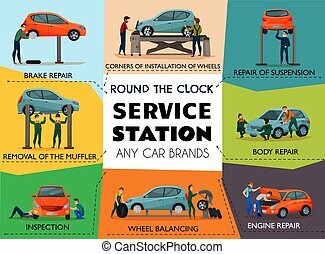 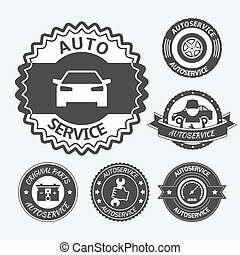 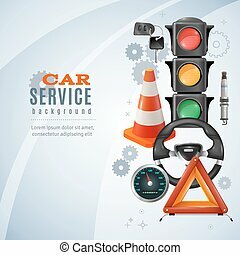 Car service with auto mechanic and maintenance symbols flat vector illustration. 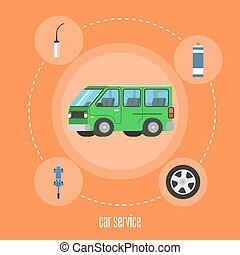 Car service illustration. 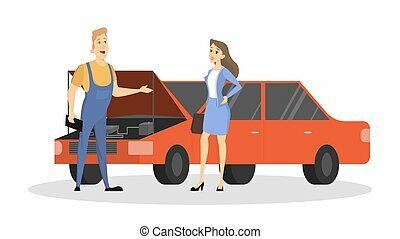 Woman with broken car with repairman. 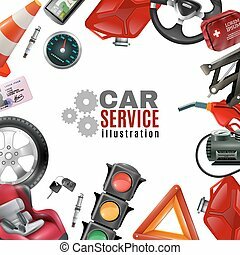 Car service illustration banner with man in uniform and equipment.